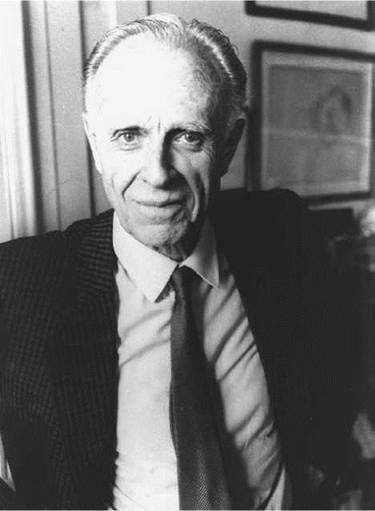 Adolfo Bioy Casares. Bioy Casares, Adolfo, photograph. © Jerry Bauer. Reproduced by permission. Argentinean author Adolfo Bioy Casares inspired generations of Latin American readers and writers with his elegant humor and prophetic imagination. Bioy (as he is most widely known) began writing as the young colleague of the inimitable Jorge Luis Borges, but went on to considerable acclaim in his own right. The writer’s many awards include the prestigious Premio Miguel de Cervantes de Literatura, which he won in 1991. Continuing Success. Bioy wrote and published six books before 1940, but he considers (as do his critics) that his real literary production began with The Invention of Morel (1940). To entertain friends in later years he would often read one of his early attempts at writing. He would claim it was written by some young writer, read a section that would be sure to produce mocking laughter, and then reveal that he was the author. Also in 1940, Bioy married Silvina Ocampo, sister of Victoria Ocampo, a friend who had introduced him to Borges. In 1946, the military-led government of Argentina came under the control of Juan Penon, a leader beloved by many lower-class Argentineans but viewed as an antiintellectual dictator by those skeptical of his policies. Under Perron’s regime, many writers suffered persecution for expressing views that Perron did not agree with; Casares’s friend Borges was one of these. However, even though he socialized with many famous writers and intellectuals, Casares remained aloof from the world of politics. Bioy lived a basically private life among friends and family in the same apartment in Buenos Aires for many years, in an elegant neighborhood near the Plaza de Francia. In his studio there he composed The Invention of Morel, The Dream of Heroes, and Asleep in the Sun (1973). At his beach house in Mar del Plata, he wrote Diary of the War of the Pig (1969). Bioy was awarded the Premio Cervantes— the most prestigious prize in the Hispanic literary world— in Spain, and the Premio Alfonso Reyes in Mexico. He died in 1999 in Buenos Aires. Octavio Paz (1914-1998): Mexican writer, poet, and diplomat who won the 1990 Nobel Prize in Literature. Otto Preminger (1906-1986): Austro-Hungarian director who directed more than thirty-five Hollywood feature films in a five-decade career. Jorge Luis Borges (1899-1986): One of Argentina's most beloved authors, Borges is famous for his intricate, intellectually impressive stories. Eva PerOn (1919-1952): Wife of Juan Perron and former First Lady of Argentina, ''Evita'' was a much-loved political figure and feminist organizer. Humor and irony are in all of Bioy’s writings, and critics note that he uses these devices to couch his often serious commentary on aging, death, love, and artistic expression. His widely acclaimed Invention of Morel satirically examines the nature of love and human relationships and the role of the artist in contemporary society. Isolation and Estrangement. The plot of The Invention of Morel transports love into the realm of science fiction and away from Argentina to an unknown and supposedly deserted island—much as Bioy, in his own life, needed to remove himself from the subjectivity of his immediate Argentine reality to gain aesthetic distance. The protagonist, a fugitive from Venezuela who writes a diary, discovers strange inhabitants who turn out to be three-dimensional movie images. His typically bungling antihero (Bioy’s creation of characters is inspired by a mixture of silent-movie comedy and Kafkaesque absurdity) falls madly in love with a woman named, allusively, Faustine. After learning how to activate the machine that has captured these images, he proceeds to place himself near her, making it look as if a relationship exists between the two, though she is unaware of his existence. His actions are tragic, because Faustine and now the narrator, like all who are photographed by Morel’s machine, are dead. Like Morel, the narrator is the artist who ultimately sacrifices his life for art. The book can also be read as Bioy’s homage to cinema and photography as he is an aficionado of both. Whatever the interpretation, what remains is a text that speaks of other texts, from The Island of Dr. Moreau to a tradition of utopian literature going back to Plato’s Atlantis. Another highly praised novel, A Plan for Escape (1945), also takes place on an island—a recurring motif in Bioy’s stories, suggesting isolation and estrangement. Here the protagonist finds prisoners undergoing a surgical procedure, which completely reverses their perceptions of reality. In effect, the protagonist becomes the prisoner of a fantasy world and struggles to escape to reality. The Fantastic. Both science fiction and detective genres, along with a metaphysical treatise, make up what Bioy first called the hybrid genre of the fantastic. In his May 1942 review (in Sur) of Borges’s first volume of stories, The Garden of Forking Paths Bioy wrote: ‘‘Borges, like the philosophers of Tlon, has discovered the literary possibilities of metaphysics.’’ Science fiction provides the fantastic invention or event; the detective genre contributes the intricate yet elegantly methodical plot. Both genres have also served as modes of social and political satire. In The Invention of Morel, the encounter between the ‘‘real-life’’ fugitive and the ‘‘magical’’ Faustine (and the supernatural machine that created her) makes Bioy’s work paradigmatic of the fantastic. But allegorical interpretations are tempting. The novella has been interpreted as a parable of the relationship between reader and text: The nameless narrator-protagonist encounters the fictional characters invented by the mad scientist Morel and interpolates himself—his interpretation—upon them. Bioy’s elegant textual machines, like the invention of the mad scientist Morel, are works of passion, expressing a desire for eternal love and a poignant failure to counter mortality. The futuristic machine as the pathetic or sinister vehicle of human hopes in this century of technology is both a comic and a terrifying motif throughout Bioy’s work: he compares humankind to a mechanical monkey on a bicycle that gradually rusts away and wears down with use. Critics disagree in their assessment of Bioy’s writings. Several have noted that his works lack originality, often drawing their adventure plots from the works of H. G. Wells, Edgar Allan Poe, and Robert Louis Stevenson, as well as from detective and science fiction stories. Other scholars, however, have maintained that Bioy’s creative reworking of the elements of linear time and space imbues his works with a surrealistic quality that distinguishes them from the fiction of his predecessors. Many agree, however, that Bioy’s ironic humor makes his writings both appealing and memorable. 1. How do you think Bioy’s collaboration with Jorge Luis Borges strengthened his writing? 2. For an introduction to the rise of Argentinian dictator Juan Perron, read Tomas Eloy Martinez’s fact-based ‘‘novel’’ about Perron’s life: The Pemn Novel (1988). 3. Describe the role of women in The Invention of Morel. What would you say in response to someone who claims Bioy is sexist? Borinsky, Alicia. ‘‘Plan de evasion de Adolfo Bioy Casares: La representacion de la representacion.’’ In Otros mundos otros fuegos: Fantasia y realismo magico en Iberoamerica, edited by D. A. Yates. East Lansing: Michigan State University Press, 1975. Oviedo, Jose Miguel. ‘‘Angeles abominables: Las mujeres en las historias fantasticas de Bioy Casares’’ and ‘‘Hipotesis del tigre.’’ In Oviedo.Escrito al margen Bogota: Procultura, 1982. Paz, Octavio. Alternating Current. New York: Viking, 1973, pp. 43—44. Borges, Jorge Luis. ‘‘Adolfo Bioy Casares: El sueno de los heroes.’’ Sur 235 (July-August 1955): 88-89. Gallagher, David P. ‘‘The Novels and Short Stories of Adolfo Bioy Casares.’’ Bulletin of Hispanic Studies 52 (July 1975): 247-66.
de Francescato, Martha Paley. ‘‘Adolfo Bioy Casares.’’ Hispamerica 3, no. 9 (February 1975): 75-81. Levine, Suzanne Jill. ‘‘Adolfo Bioy Casares y Jorge Luis Borges: La utopia como texto.’’ Revista Iberoamericana 43 (July-December 1977): 415-32. Robbe-Grillet, Alain. ‘‘Adolfo Bioy Casares, L’invention de Morel.’’ Critique 69 (February 1953). Snook, Margaret L. ‘‘The Narrator as Creator and Critic in The Invention of Morel.’’ Latin American Literary Review 7 (Spring-Summer 1979): 45-51.